Shabqadar is a town about 30 kilometers north of Peshawar, in Charsadda District. Bahlol Gigyani founded Shabqadr. According to the greybeards of the tribe, Bahlol laid the foundation of the settlement on Shab-i-Barat i.e 14th of Shaaban, hence the name of the town. Initially it was located in Dheri Dari Sarah. Subsequently , the daughter of Ibrahim Khan, a descendant of Bahlol Khan, did not like the site of the village, so it was shifted to the present site. It is said that during the Mughal rule, Bahlol Khan was appointed administrator of the whole of Doaba tappa . The Gigyanis are the descendants of Gagi, the daughter of Makh s/o of Khashi. Gigyanis followed the Yousafzai into the Peshawar plain in early 16th century. Malik Ahmad, chief of Yousafzais and Mandanrs, assigned Doaba (between river Swat and river Kabul) to them. It was built by the Sikhs in the 30s or 40s of the 19th century. Soon after its construction, a large number of Hindus started living around it. During the Sikh rule, it was called Shankar Garh. 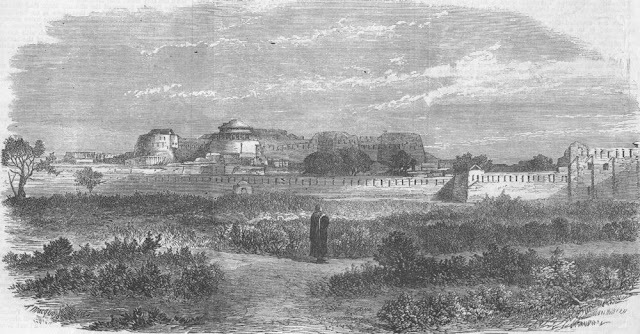 In 1849, when British replaced the Sikhs, they stationed regular troops in the fort. The British reconstructed the fort in 1851. It had been built on a place , of tactical significance as it facilitates the control over the Mohmand area. In 1885, the fort was given to Border Military Police. The British fought many battles against the Mohmands from here. 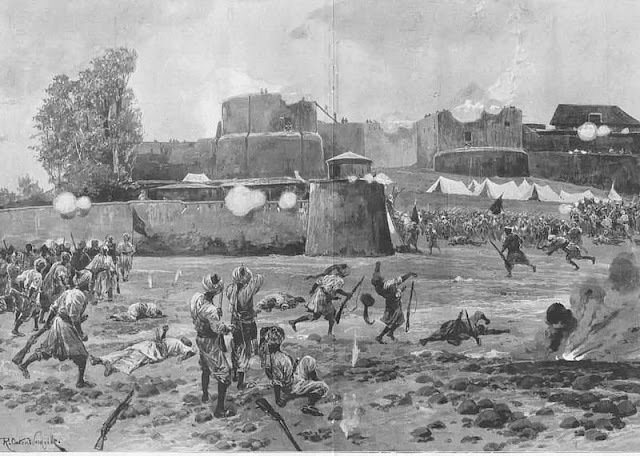 Hadday Mullah Sahib alongwith Mohmands attacked this fort and burnt the town in August 1897. There are two Katcha houses inside the fort, in one of which, it is said Churchil had lived. Today the Shabqadr fort is garrisoned by Paramilitary force, the Frontier Constabulary.